Home » Films » Hard Case Crime’s LITTLE GIRL LOST optioned by Universal, director and writer attached. Hard Case Crime’s LITTLE GIRL LOST optioned by Universal, director and writer attached. Congratulations are in order for Charles Alrdai and Hard Case Crime. 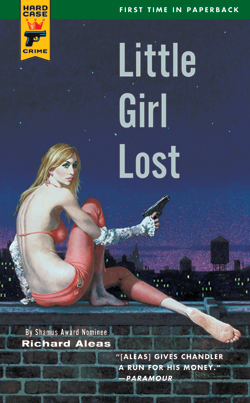 Universal has optioned LITTLE GIRL LOST, a novel written by Charles (under the name Richard Aleas) and published by HCC. While many novels are optioned and do nothing more than collect dust, LGL already has a director and writer attached to it. If you have not yet read LITTLE GIRL LOST, pick up a copy.